We’ve been watching EUR/USD tumble the past few days, but it looks like its fall may come to a halt soon. Price is just about to hit a support-turned-resistance level, which just so happens to intersect perfectly with a rising trend line. Sweet! I don’t blame you if you feel like pulling the trigger and going long. Now if that’s the case, the recent swing high looks like a reasonable target. But keep in mind that technicals are only half the story, and fundamentals could always result in a break of support to new lows. 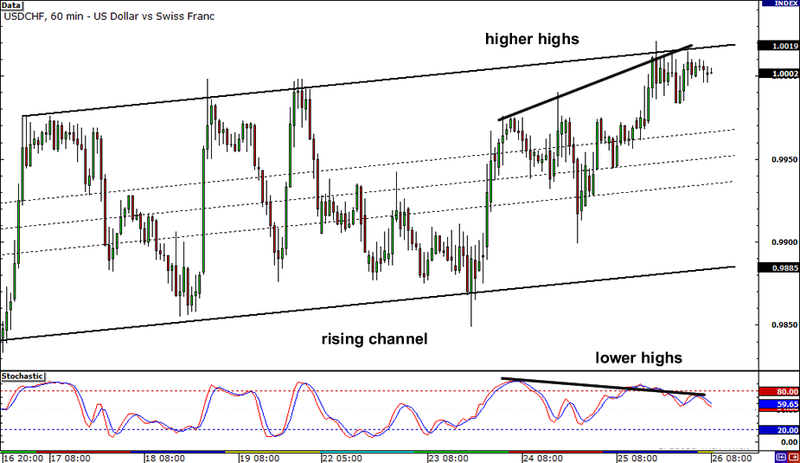 Check out that rising channel on USD/CHF’s 1-hour chart! USD/CHF has been stuck inside that channel for almost a couple of weeks already. The pair just hit the top of the channel, which seemed to act as resistance again. 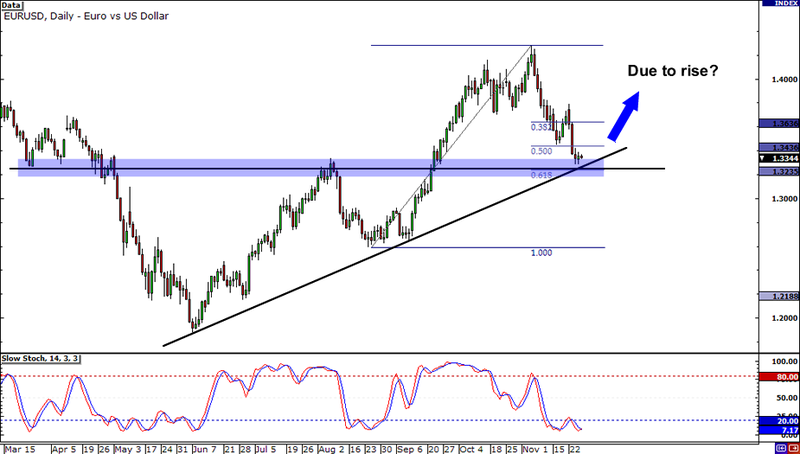 Does this mean that USD/CHF is headed for the bottom? Well, with the price’s higher highs and Stochastic‘s lower highs, I’m getting bearish vibes from that divergence right there! If the pair falls, it could find support at the bottom of the channel, around the .9900 handle. 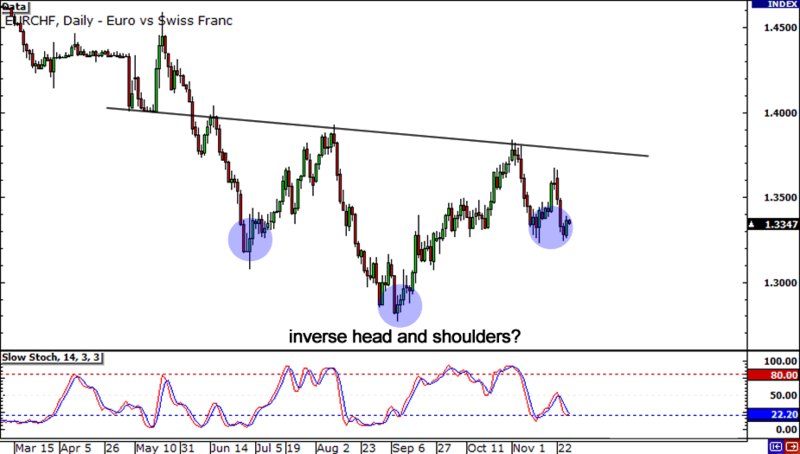 Lastly, let’s end by taking a look at EUR/CHF. It seems that the pair is in the middle of forming an inverse head and shoulders formation. After testing the 1.3700 handle last week, it has fallen back to test previous support at 1.3270. With yesterday’s bullish engulfing candle, could we see this pair race up the charts and test the neckline, somewhere around 1.3700 handle yet again?